Classically beautiful necklace with a halo of crystals in an antique style. Clementine is delicate and feminine. With an antique touch, clear crystals sparkle and invite us to look back and rethink traditions. Classically beautiful necklace with a halo of crystals in an antique style. Clementine is delicate and feminine. With an antique touch, clear crystals sparkle and invite us to look back and rethink traditions. 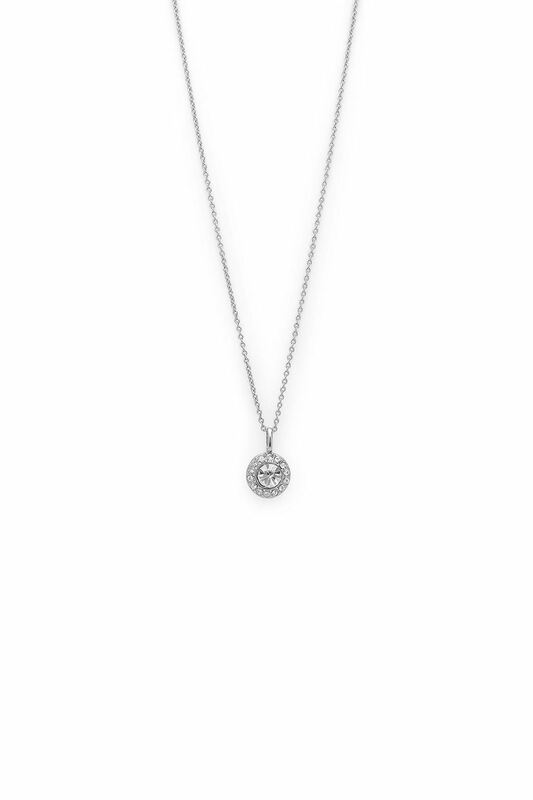 A timeless and modern pendant with a pavé effect. Hangs as a lovely and luminous memory from the past.